As I sit here waiting for the WordPress fairies to do their magic and transfer my blog to (dot)org (a necessary move to self-hosting), I’m furiously stomping both feet at my social media stagnancy, the result of my inaction; not following my own advice when it comes to finding success. Freelance isn’t flowing, because it hasn’t been the top priority. The blog isn’t growing as much as it should, because I’ve gotten lazy (write, look at numbers, write some more). There’s a lot on my life’s plate at present, but my priorities are askew. If I don’t change things up I could sit idly by for the next fifty years scratching my head at what could have been. This is not my style. If at first you don’t succeed, try, try again. Except if you aren’t succeeding in what you are doing, then maybe you’re doing it all wrong? In the old days I would have pulled up the boot straps and started to send out resumes. Five per day was the rule, and sure enough my effort would result in the right job at the right time. The Internet has changed how resume submissions are done, but basically, you’ve still got to get out there in order to be seen. You’ll never meet Prince Charming if you wait for him to show up at your door. The Universe in all her wonder has a big part in how our successes play out, too. Timing is the issue of which we have no control. But, change things up, move in a different direction, and eventually Mrs. Universe will bequeath the right opportunity at the exact moment it’s meant to happen. So, I wait for the fairies to work their magic on the blog transfer, I type to cement the goals, and I dust off my faith that action results in change. A girl with a plan cannot be thwarted. For the life of me I can’t find an image of Lilly Pulitzer’s “Prints Charming” fabric that would have been a swell addition to this post. Her “Frog Prince” will have to do. Speaking of a girl with a plan. 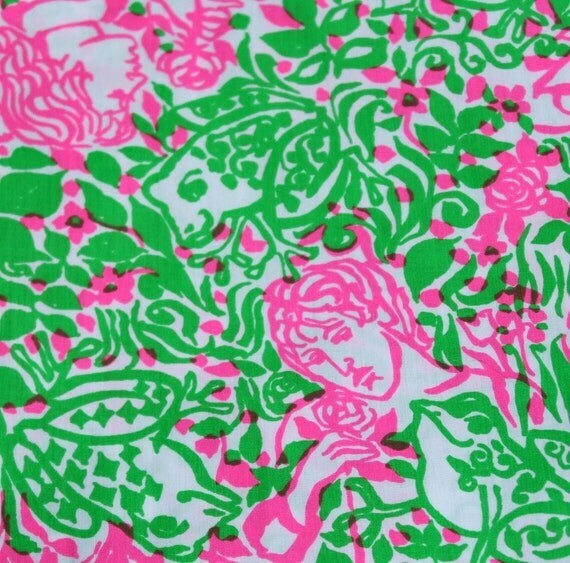 How about that Lilly Pulitzer? She started with a lemonade business, but began making dresses in prints to camouflage the spills on her clothes. Surely she realized she was onto something when her creations began to sell more than her lemonade. Now imagine if she’d just sat at her stand all covered in juice? Ha! I wish that I had a secret to success. But I know what you mean about wanting your dreams to take off but it’s hard when they are not a priority. But you DO have a lot of your plate and that’s not just an excuse. It will come. That’s what I keep telling myself. Good luck with the transfer!! You are sweet to acknowledge my full plate, but I really have procrastinated long enough. It’s time to buckle down and focus, you know? Hope the transfer goes smoothly. Just signed up with BlueHost… it’s got me a little freaked out. You are so far beyond me with your comma too and your dot org and your editing tests. Thanks for keeping me on my toes! I have complete faith in your success. They are working on it … the transition will happen on the 10th. Quite efficient, I think. Thank you so much for the great comments and advice. Mom-writers like you are the inspiration to keep me going! I will look into the editorial calendar today, and am about to go invest in a current version of the Writers Market book. I have the 2000 version (from back when I pondered life as a freelance writer). You and I really are connected. I am all over the place too. I am hoping my pause gives me the rest I need to come back fresh and focused. But I too need to start making things happen. Whether that be with tbe blog or the other goals I was hoping to pursue right now. I hope tbe wordpress faries act swiftly on your behalf! I was just thinking that a pause is like a little life savasana! Let me know if you need anything…even an ear to bounce ideas off of. You have my email! You are currently reading If at First You Don’t Succeed then Maybe You’re Doing it Wrong at Running in Mommyland.